Government Troops Entered Sukhna Gas Field, Clashes Ongoing – Reports 4.7272727272727 out of 5 based on 22 ratings. 22 user reviews. Pro-government forces supported by the Russian Aerospace Forces have entered the Sukhna gas field near the important ISIS-held town of Sukhna northeast of Palmyra, according to pro-government sources. Heavy clashes are reportedly now ongoing in the gas field area. If government troops secure it, their next step will be to enter the town of Sukhna itself. Earlier this week, the army and its allies liberated a number of hills overlooking the ISIS-held town and established a fire control over it. 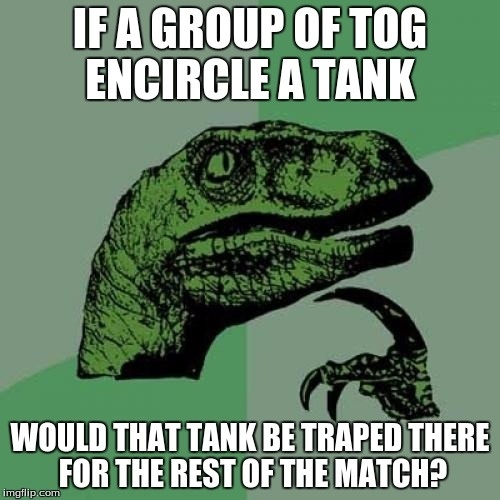 What is a tog? and what match? Time for the Iraqi’s to get sorted and focus on their border while maintaining pressure in Tel Afar and Kirkuk area. The Iraqis should be attacking from Rutbah and Akashat and also up the Euphrates to al Qaim. Time to clear Anbar of the Daesh. Daesh are stubbern mofo’s and hard nuts to crack but its clear they re not able to conduct any serious offensives or counterattacks no more. So its a matter of time b4 they get waisted. They may not be able to launch offensives: but they can still put up tough defense at Al Bukmal, whats left of Raqqa, Al Qaim, Hawija, Deir ez Zor, Ma’adan, Mayadin, and lastly here at Sukhnah. Although Daesh is crumbling the majority of its military is stationed in Deir ez Zor province- they still have thousands of fighters and a few dozen armoured vehicles and artillery pieces. Emotionally , I agree , but knowing that Al Qaeda have again become top dog up in Idlib is cause for concern , they could mount an offensive on Aleppo , or anywhere the SAA would have to respond to . Dier Ezzor can not wait , ISIS in Sukhna if put under siege , can be dealt with latter . Now is the time to clear ISIS from its airport at least , then it can be resupplied etc..
Get while the getting is good . I was thinking of torpedo the supply vessels too. There might be legal implications though to this actions, and then Russian supply vessels to Tartus could be in theory subject to the same treatment at some point. It will be exceedingly difficult for either party to demonstrate who launched to torpedo attack. It is far more important for the Russians to get their supplies safely to Syria than for the Jihadist to get their supplies from Balkans to Jeddah in Saudi Arabia. If thinks would have been not so complicated, I am sure the Russian would have long torpedoed the Jihadist supply ships. Why should Russia / Syria etc. escalate by torpedoing supply ships etc when they are already winning?? This is what racist supremacist Israel wants and has desperately been trying to provoke an escalation for years now. Your observation about shipping weapons from Bulgaria and Croatian to the terrorists is very good, and it must be answered someday by Russia because, of course, Russia intelligent knows about all weapons shipping to terrorists. ¿ Be afraid of an international condenation ? I do not know, but for some reason those shipping have not been bombed. I wonder if ISIS will fight for Sukhnah in a Raqqa and Mosul style, home for home, brick for brick, to the bitter end, or in a Deir Hafer or Maskanah style, bitterly hold ground until almost all sides are surrounded, and then they run like hell, leaving only IED”s and the odd suicide bomber behind. No doubt the Russians will want Syria to pay a price for its support but the Syrians can be proud of the way that they’ve used Russian assistance to rebuild the army and take the lead in thrashing the US head-chopping, heart-eating rapers. Nicely done. IMO, still not enough ground around sukhanna has been taken. Sure, they have taken the hills yes… but there are mountains just beyond those hills and anything can be lurking in there…. If its to tough ring it then starve it for 2 or 3 months while you go around and get Deir Ezzor back.